Daddario Pro-Arte synthetic core cello strings have a warm, mellow tone. They are less sensitive to humidity and temperature changes, and break in quickly. 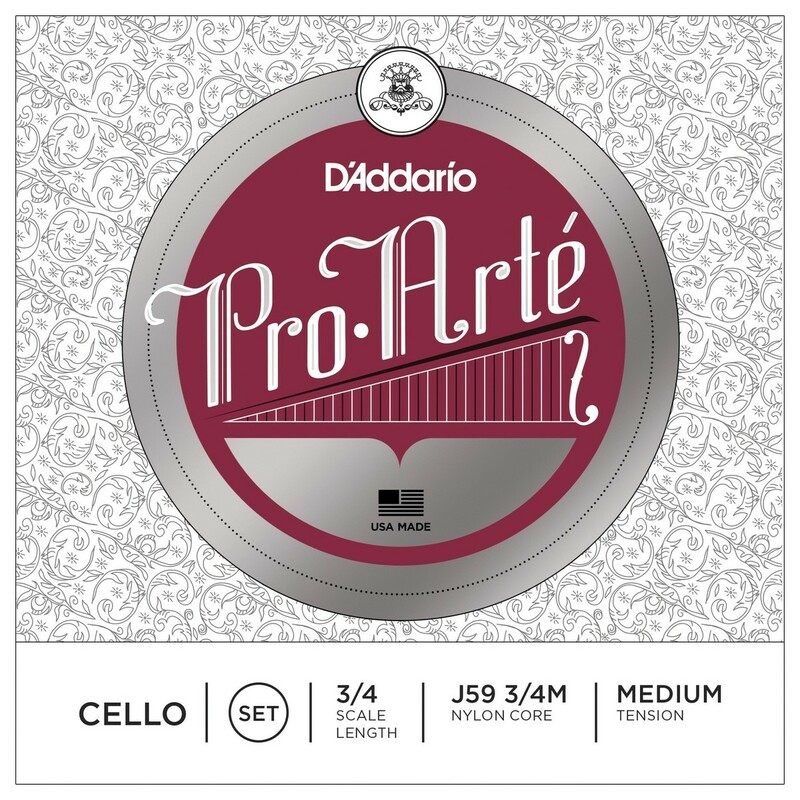 Pro-Arte strings are designed at a lower tension in order to maximize bow response, tonal blend and playability, making them exceptional for use in small ensemble settings. The 3/4 scale strings are gauged specifically for 3/4 size cello with a playing length of 25 1/2 inches (650mm).